The word "solstice" in English comes from Latin words meaning "the sun stands still." Of course, the sun doesn't literally stand still, but that was how it seemed to the ancients, who were attuned enough to the world around them that they perceived some very slight standing still, a waiting, a barely perceptible shift in direction, which gave rise to the celebrations of light in so many faith traditions. Maybe there was something of that perception in a Focusing partner when we Focused the day of the solstice, because my partner used the phrase, "the strength of waiting," to describe some quality needed in a certain situation. It really struck me: the strength of waiting. Waiting seldom feels like strength. Here in the United States, the race for our next president has heated up, and the rhetoric is very, very hot. A number of candidates, seeing the troubles of the world, seem unable to conceive (or unable to trust that the public can conceive) that the way to be strong in the face of chaos and confusion is often to wait. Many candidates take the harshest, most anxiety-laden reactions to our country's troubles and label that reactivity as "strong." Anyone who waits, anyone who ponders, anyone who considers, anyone who trusts is "weak" or even incompetent. The solutions being offered come from desperate fear and very little faith. When my Focusing partner used that phrase "the strength of waiting," it occurred to me that waiting and faith are almost the same thing. Spanish speakers perhaps know this better than English speakers do, for their word "esperar" translates into my language as both "to wait" and "to hope." So, too, there is some ancient wisdom in the Advent season, which is meant to precede Christmas. Commercial forces have effectively squelched the Advent season by pushing Christmas earlier and earlier, but traditionally, the month before December 25 is meant to be solemn and dark -- the time in which one awaits the miracle of the birth of new life. Only after December 25 does the season of light and new life begin. During these still-transitional times at The Focusing Institute, many of us would like for the new to be here now. Even though we are Focusers, we sometimes find ourselves believing that waiting is weakness and forceful action is strength. The solstice, and my beautiful Focusing partner, have reminded me this week of "the strength of waiting." In many ways, it feels that there has been a kind of solstice which has occurred at the Institute. The year 2014 was a difficult transition, and it hit us hard financially. Yet it seems that we have gently shifted, like the sun, and we are ending 2015 in a much stronger position. So far, you have responded generously to our end-of-year appeal, and we hope that many more of you will give at whatever level is right for you. Our Strategic Planning process got off to a rousing start in Seattle, and it is continuing with more strategic conversations (led by Rosa Zubizaretta — thank you, Rosa!) among the Board, the International Leadership Council and I. It is tempting to want to push the process forward so that we can hurry up and reach the destination we seek. However, I prefer to trust ourselves, to trust our Focusing process, to trust the deep wisdom and generosity and love that undergirds our community and our world. My wish for myself and for all of us in 2016 is that we remember, day by day, the strength of waiting. With a goal of helping the Board and International Leadership Council to remain well-functioning and reflective of the Focusing community, the Board of Trustees, in consultation with the International Leadership Council, will form a Nominating Committee. The Task of the Nominating Committee is to propose by May 1, 2016 nominees for the Board of Directors and the International Leadership Council (ILC) for 3-year terms to replace those who are rotating off those bodies. If you are willing to translate this document to your language and to send it out to Focusers who speak that language, please contact Catherine as soon as possible, so that as many people as possible can participate in helping us shape our new leadership teams. Excellent! Amazing!! Honoring!! — these were some of the comments from the participants about the Weeklong 2015. What were these words about? About the organization, about the team, about the program. The program consists roughly of a morning workshop for the whole group, a Home Group meeting after lunch — after the tea brake we offered several different afternoon workshops. At night there was a possibility to connect and cross across cultures in a free, more comical way during the Focusing Cafe. When I think of each of you in this group, I feel like I can unburden myself. I do not need to desperately self-regulate before presenting to you. You help to regulate me. In a way, you are a microcosm of the larger community that I have met here, and which I dread to leave. I wonder how to return to a home and society where I do not feel so safe, where I would feel it more difficult to be vulnerable. Still, I am curious of how I may retain these new habits of touching into my heart, and expressing it, congruently. Of dipping into the implicit, whose once occurring may not merely alter my emotions briefly, but meet my need in a most precise way, so that it becomes something more. Where another's movement touches my own, and in turn affects theirs. Where risk is met with gratitude and more sharing. I had no idea that in this week, and especially during my homegroup, I would touch so deeply and unrelentingly into my pain and the desperate ways in which I have sought to alleviate it. And the world of hurt it has caused, to myself and to others. And that it would be received, with compassion, holding, and returned vulnerability, and that I was not alone. I thought that I was coming to work on my vision and mission in the world. I did not plan on crying so much, instead. But the more I cried, the more I found I could cry, hearing the stories of others, and could finally see, in front of me, you — shaky human being — and put aside theory and technique. I could listen to and feel another, and as I grow in this basic capacity, shedding away old patterns, I feel hope, that not only will I be able to help others, but that I may also finally be free. 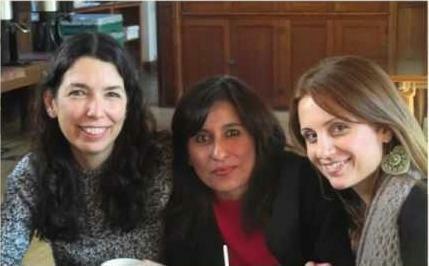 The facilitation team felt privileged to work together with the Certifying Coordinators attending the Weeklong. They brought their own unique personality, their skills and attitude to the home groups, workshop or attunement. In this way they contributed to make the Weeklong really diverse. Group facilitation skills; how to apply movement to focusing; how to use focusing in cross cultural interaction; a start with understanding the Process Model and Thinking At the Edge; how to use Recovery Focusing; how to bring Focusing skills into a community; listening without guiding; Interactive Focusing to use in conflict situations and much, much more. Another question was "What was the best thing for you about the Weeklong?" Here is an impression of the answers: connecting with warm-hearted, sincere and dear people from many countries including China and South America; being fully present; experiencing diversity of approaches to Focusing; appreciating and enjoy differences; deep presentations; the home groups; the partnership exchanges; opening my heart and feeling so loving. Finally we want to give you a sample of the long list of words that came when we asked to complete the sentence: "The Weeklong for me was..." Liberating; unfolding; sensational; illuminating; life-changing; a big hug; an example of life; delightful and loving; energetic; a field of flowers; a seed in my heart to walk with others; not happy it is ending. We also had a very good time as the facilitation team, with the support of Catherine Torpey. There was trust, appreciation and support among us and the willingness and skills to do some Focusing if needed. Suzanne Noel has served the Weeklong for four years. She did it with her full heart and now it is time to step down to allow for fresh approaches, in resonance with the Crossing Support Group's vision of making the Weeklong a transcultural, international program with a variety of Coordinators every three or four years. Tomeu Barceló was a guest-facilitator this year and the first non-English speaking teacher. Aaffien de Vries will stay and be part of a new team. As a team we felt grateful to build on the work that former teams have done, and we offer our work to the next team to let it grow further. The Children Focusing Task Force was set up in November 2014, and included Heidrun Essler, Mary Jennings, Simon Kilner, Catherine Torpey and René Veugelers. It published its report in October of this year. The purpose of the Task Force was to find out what was alive in Children Focusing among practitioners, trainers and Coordinators across the world and to seek ways to address any issues raised by them. It was an enriching experience to be in contact with so many people who are passionate about Children Focusing. There is an exciting variety of models for teaching and training in Children Focusing — from the Learn-As-You-Go model (teaching parents and educators about Focusing approaches they can use in their everyday interactions with children) to the more structured certified 60 hours' training for Children Focusing Companions. Among many we interviewed or heard from, there was a sense that, along with core proficiencies of Focusing, there are key topics that need to be an integral part of the training for people working with children. These include the important topics of child safety and child protection and knowledge of activities that are appropriate to the child's developmental stage. We found many pathways to becoming a certified Trainer or Coordinator in different countries and many expressed a desire for greater clarity around the process, including the role of The Focusing Institute in certification. Trainers and Coordinators value opportunities to share information, ideas, concerns with their peers and would like more of these. Those we interviewed considered meet ups at events such as the Children Focusing Conference to be of great benefit. Many suggested that a more up-to-date website with access to resources would be welcomed. We published the report and we welcome feedback from the community and encourage a lively interchange of opinions and ideas. There have already been many valuable contributions to this ongoing conversation on the discussion lists. A special email — children@focusing.org — allows you to communicate directly with the Task Force. The report can be accessed via The Institute's website and we look forward to hearing from you! As president of the Focusing Institute Board of Trustees, I want to give our far-flung community a brief year-end report on the "state of the Institute." The Focusing Institute has come through major changes in the last two years, first and foremost the retirement of founders Gene Gendlin and Mary Hendricks Gendlin from their many years of guiding the growth and development of the Institute, and of course the death of Mary, which was a sad blow to us all. Gene and Mary's retirement occurred at the end of 2013, and simultaneously Kye Nelson and Melinda Darer stepped down as executive director and managing director, respectively. The two of them put in hard time for the Institute and Melinda, in particular, deserves our deep gratitude for her 17 years of day-to-day leadership. We were fortunate to retain the administrative expertise of Elizabeth Cantor and Rita Kirsch, as well as web-master Bill Silverman. Without their continuing commitment, the Institute would have been really at sea. We were also fortunate that Robert Lee, Rob Foxcroft, Jerry Conway, Nina Joy Lawrence and Cynthia Callsen stepped into the breach to provide leadership at the board level during this difficult transition. Through their efforts, we were blessed to gain Catherine Torpey as executive director of the Institute in June 2014. Catherine is an experienced organizational leader as well as a good communicator, committed Focuser, and all-around great people-person. With Catherine's spirited leadership, supported by a new board of trustees as well as the freshly created International Leadership Council, the Focusing Institute is alive and well and, after a somewhat rocky transition, back on course. In its next phase of growth, the Institute will preserve Gene and Mary's legacy while expanding the scope of its activities to meet the needs of today's international Focusing community. A strategic planning process was begun by the board and International Leadership Council earlier this year and, for the first time, it has prioritized outreach to all of our membership for their input. We plan to finalize the strategic plan by April 2016, but already the main directions for the future are coming into focus. First and foremost, the Institute will devote its energy to serving its membership and especially the rapidly increasing numbers of certified focusing professionals who are at the heart of our worldwide campaign to make the gift of Focusing available to people from all walks of life. The Institute's website will be overhauled to make it easier for people to find Focusing teachers and groups in their local area, to help trainers gain visibility for their program offerings, to provide video presentations of Focusing in action, and much more. Recognizing that Focusing truly is a global movement now, the website will provide more resources in languages other than English, and will allow regional groups and associations to input reports and program notices directly onto the site. It will also be a central communications hub, allowing all of us to learn from each other's experience. The Institute will continue to offer major residential programs, like the international conference, the weeklong advanced training, and the popular Focusing Institute Summer School. More of these programs will be offered outside of New York and the United States, in conjunction with regional groups. At the same time, we will continue the important work of promoting Gene's Philosophy of the Implicit through the Gendlin Online Library, expert forums, and a publications program. The preservation and promotion of other aspects of Gene and Mary's legacy, such as Focusing-oriented Psychotherapy and Thinking at the Edge, will also be important fields of activity. We will support new scientific research that validates the benefits of Focusing, and grow its presence in educational settings. Under Mary's guidance over the past decade, the Institute has made a strong commitment to social action and serving communities of need in war-torn and economically underdeveloped parts of the world, such as the El Salvador and Gaza projects. We will continue and expand that commitment. In conclusion, the Focusing Institute is alive and well and ready to take on exciting new challenges. Here at year-end, I urge you to support the Institute's ability to undertake these new initiatives by making a generous donation. Our income took some hits during the two-years of transition and uncertainty about the Institute's future. Part of our strategic planning is clarifying the Institute's "business model" — how it will grow its financial resources through the right combination of membership dues, program tuition, product sales, grants, donations and other sources. Right now, we really need your help to kick-start all of these efforts. After more than 40 years of steady, slow growth, Focusing is poised to expand much more rapidly and break through to the multi-cultural mainstream, which is in so much need of it. Please help us with this courageous, heartfelt, and vital undertaking. 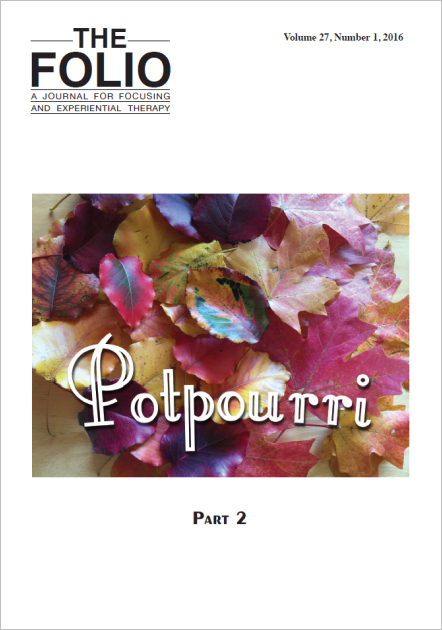 We are delighted to present the second volume of our two-part Potpourri series. It contains an array of stimulating articles and artwork that runs the gamut from a Thank You letter to a felt sense (yes!) to the integration of holistic healing into a Focusing practice - and - the intriguing integration of the Process Model as experienced in a cross-country walking adventure starting on the writer's 70th birthday! We know that you will really enjoy this issue, and you'll want to carry it with you everywhere you go. Now, you can have either the traditional paperback bound Folio or a Kindle edition so that you are never without your copy. Enjoy the reflections, the learnings and the wisdom of your fellow Focusers and read what everyone is talking about. 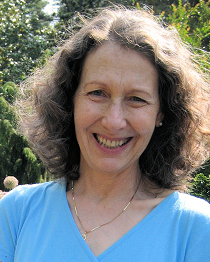 —Ruth Hirsch is a member of the International Leadership Council. She lives in Jerusalem, Israel. It would not be an exaggeration to say that Focusing has changed my life in ways that I never could have imagined following my first very short (5 minutes!) guided experience. Focusing has given me back my life, my vitality. I first learned Focusing with Ann Weiser Cornell, and was in the final Chicago Certification group led by Janet Klein, Mary McGuire, and Gene Gendlin in 1995. After having taught Focusing for about 13 years, with mentoring from Reva Bernstein, I became a Certifying Coordinator in 2007. In the 22 years since I was first introduced to Focusing, I feel blessed to have learned from many other Focusing trainers, practitioners, and others in the Focusing world. 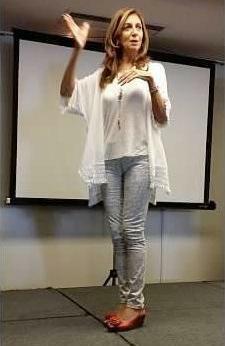 The essence of my teaching and one-to-one work has centered around healing and growth for over 25 years. Besides Focusing, I've earned Masters Degrees in Social Welfare and Public Health, and certifications in yoga, massage, and acupressure therapy. I've also been fortunate to have had the experience of living and working with people in different cultures. 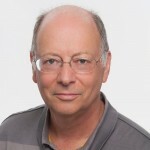 I grew up in the northeast U.S.; attended university in Scotland; set up and ran maternal/child clinics in rural Niger, West Africa; lived and worked in Washington, DC and Northern California; and since 2002 have lived and worked in Jerusalem, Israel. As most of you reading this will agree, Focusing is an amazing process and approach to life. While my initial intention in learning Focusing was for personal use (specifically, to soothe and perhaps even transform my very harsh inner critic) it soon became clear to me that Focusing could be helpful to my clients and others – prompting me to decide to become a certified trainer. Over the past 20 years I've specialized in integrating Focusing with Bodywork, and later in using Focusing to deepen spiritual awareness and practice, specifically focusing on Jewish holidays and months of the year. More recently, having observed how many of my clients and students seem to have lives held back by the presence of one or more manifestations of an inner critic, I've been researching and developing new approaches to using Focusing to work with this challenge. Today there are many, many teachers of Focusing in the world. Over 1,400 Certified Trainers are listed on TFI's website and doubtless many others are teaching Focusing worldwide. In becoming a part of the ILC, my interest was to be involved in both short and longer term planning and idea generation within TFI. I want to be a liaison to support other Focusers, Trainers, and Certifying Coordinators not on the ILC/Board to also have their voices heard. I would also like to support an increase in stability, transparency, and breadth in the scope of TFI's outreach, support, and perhaps programs as well. During this transitional time in TFI, it's been a privilege to be chairperson of the ILC, a participant in the joint Board-ILC Strategic Planning Committee, the ILC-Board liaison, and to work with so many others who are also committed to Focusing and to supporting Focusers and Focusers-to-be. In the December Focusing Conversation, Serge Prengel talks with Rev. Peter Campbell about BioSpiritual Focusing. A large and enthusiastic group of Focusers from all over Argentina gathered in Buenos Aires on November 14 for a day-long workshop which featured Elena Frezza, the first Coordinator in Argentina, speaking during the morning on "Focusing: a quantum leap in listening", and Edgardo Riveros of Chile speaking on "A Process Model: fundamental concepts." The day was already in planning when Elena realized that it would mark 25 years of her having brought Focusing to Argentina in 1990, and so it was a very special celebration. Adding to the celebratory atmosphere was the presence of Edgardo Riveros Aedo, who was launching his book, hot off the press, "Focusing desde el corazón y hacia el corazón"("Focusing from the Heart and into the Heart"). Thanks to a donation of air miles, Catherine Torpey was able to travel to Argentina to be present for the day and to do a short presentation in Spanish (with lots of assistance from the audience graciously supplying words when her vocabulary fell short!). 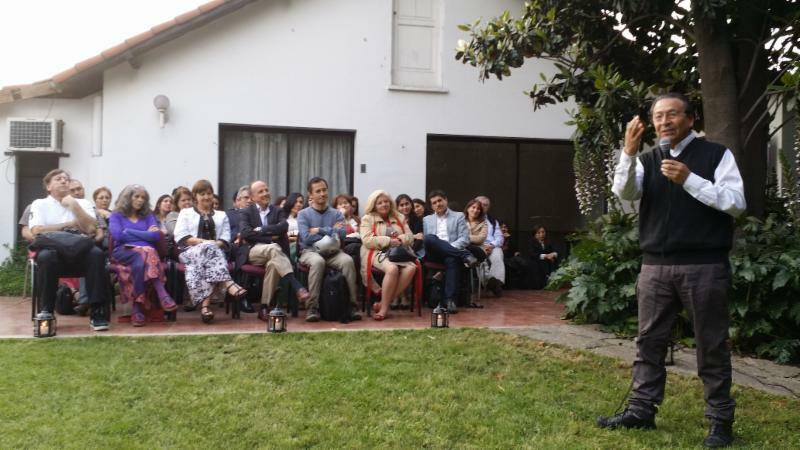 Then it was off to Santiago, Chile for Edgardo and Catherine for the official launch of Edgardo's book which took place at a beautiful setting with an overflow crowd at the Fundación para el Desafío (the Challenge Foundation). 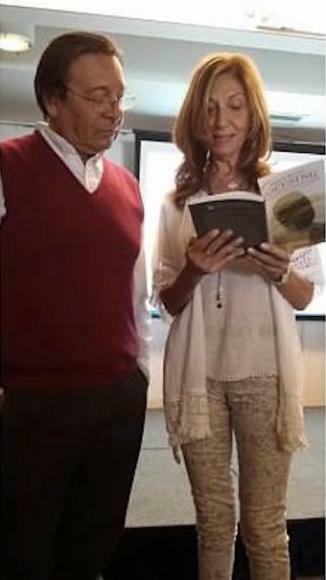 Both in Argentina and Chile, Edgardo and Catherine were able to announce the beginnings of an exciting new project called the Continental School of Focusing (Escuela Continental de Focusing), which will bring together Spanish-speaking teachers of Focusing in a week of learning each year in Latin America. This project aims to be a contribution to the international community, working together and in close interrelation with the Focusing Institute in New York, collaborating in the work of teaching and disseminating Focusing and the Philosophy of the Implicit. Stay tuned to hear more about when and where the first international gathering of the Continental School of Focusing will take place! Ifat Eckstein's chapter for What Sustains Me, 'Feeling At Home,' has just been released and is available for free download. What Sustains Me is a collaborative book, with each chapter written by a different author in a personal and experiential way. Each chapter is released separately as it is ready. The book's topic could be described as an "existential quest" or a "spiritual quest." The book's focus is on describing personal experience, as opposed to the philosophical or religious terms under which these experiences are usually framed. 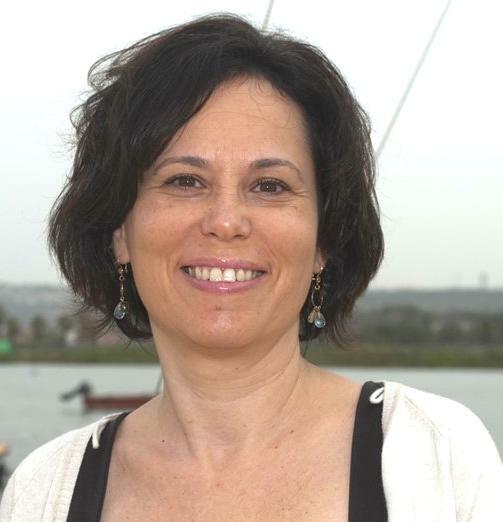 Ifat Eckstein is a Focusing-Oriented therapist with more than 20 years experience working as a couple & family therapist. She lives in Israel. Says Ifat: "Writing this chapter began with a very simple and deep inquiry into what sustains me in life, giving me sense of peace and meaning. It led me to describe a process of re-connection to my deep essence and sense of belonging, to feeling at home in this universe. While it is a personal story, I feel it also represents the universal journey of us all. Through sharing, I will attempt to make more explicit the many levels, layers and continuums of individual threads, how they meet and cross each other in an organic web." Read more... Download the free PDF here. Sadly, we have lost one of our long-time colleagues. Zack Boukydis died after a long illness on December 10, 2015. After receiving his PhD in psychology, Zack came to specialize in babies. He brought family centered care into hospitals at the Neonatal Intensive Care Unit, working with premature babies and their mothers as well as professionals who work with these young babies. If you didn't know Zack and would like to get a sense of him, or if you are interested in learning more about his work, here is a talk he gave just this year about his program on Close Collaboration with Parents in hospitals (scroll down on that page to select Zack's presentation). He quotes a colleague who expressed the essence of his work: "When you listen to the baby, everything else follows." His book, Collaborative Consultation with Parents & Infants in the Perinatal Period, is available in the Focusing Institute bookstore. Zack worked and lived in Hungary and is mourned by his wife, Laura Bavalics, and their young daughter Anna Boukydis. was so kind a person and a wonderful professional. contributed so much with his work with babies and mothers. was someone I knew for over 35 years... and have long admired his brilliance, kindness, humility, and his devotion to his family, his friends and to Gene — with whom he has had a long and close relationship. has made so many important contributions to his field as a scholar, writer and innovator and he consistently integrated Focusing into his work. His sterling qualities earned him numerous friends and he will be mourned and missed by many. I have appreciated Zack for his sensitive, profound professional contributions as well as his deep humanness. The beauty and power of his being was brought home to me again... His work is so profoundly transforming and deeply integrated both theoretically and clinically and I pray that his work will continue to impact the world. His presence was so open, humble, brilliant, and spiritually attuned. was a light — a quiet, funny, warm, noble presence. He radiated such a fine quality of being — wise, caring and full of heart. was so supportive and enthusiastic that it immediately uplifted my spirits. was so brilliant, warm and caring. his special tenderness was able to change all the contexts he was in, and I cannot forget the particular quality he was embodying and carrying to us all. I always felt proud, being next to one of the pioneers in his field. Clearly, we have been honored to have Zack among us, helping to bring Focusing to people from their earliest, most tender moments on earth. Thank you, dear Zack. Being a member of The Focusing Institute is one way of staying connected to the International Focusing Community and its latest developments. The Institute is a supportive matrix whose purpose is to help the human community integrate Focusing into its many ways of living and working, and to see to the continued thriving and evolution of Focusing and Focusing teaching. We organize what has already been done so that people have access to it. 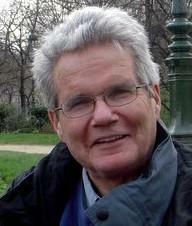 We support a thriving philosophical community centered around the Philosophy of the Implicit. We generate continued Focusing research. An unbroken developmental process for 50 years has brought us to this point. To introduce Focusing to people requires reaching out on many levels: publicity; archiving resources; bringing focusing into schools, medicine, churches, businesses and other areas. As Focusing is introduced in these areas, we connect people who need to know about each other worldwide. Membership is a way to support our work, and, as we are a non-profit organization, your contributions may be tax deductible. Each member of our International Community is special to us. We deeply appreciate that you care enough about this work we are doing together to put some of your life energy into it, whether in the form of training, personal development, organizing projects, money or in other ways. TFI is dedicated to making Focusing findable around the world. Consider making a year-end contribution to The Focusing Institute. This summer and autumn, millions of refugees have poured out of their home countries, escaping intolerable physical and psychological conditions. They need food, shelter, and a change in the power structures which leave masses of people impoverished and oppressed. In the midst of such suffering, there exist needs alongside those of physical health and safety. When we suffer great loss or deprivation, we also have a deep need to make some sense of what we have experienced; to remain human in inhuman circumstances. We in the Focusing community suffered our own loss this year with the passing of Mary Hendricks Gendlin. At her memorial, we watched a video of her in younger years, where she reminded us that "Focusing doesn't belong to anybody; it belongs to everybody." The Institute, she said, exists so that this process which we love, which is free to all, and which we know to be life enhancing — and even life saving for some of us — be findable by people everywhere. The Palestine Trauma Centre is extending the excellent work that has been done in Gaza. The success of Focusing there is being adapted for use by speakers of Arabic who are refugees or suffering other forms of distress. In El Salvador, a country suffering from one of the world's highest rates of homicide and gang violence, we are supporting the work of Nuevos Rumbos, which has been active there for eight years, helping to nurture a culture of peace. We believe that the naturally compassionate process of Focusing has a real role to play in strife-torn areas. Sensing oh-so-gently into the right way forward invites a compassion which does not ignore the cry for justice. Without this loving, truth-telling process, one might become stuck in responses of rage at a perceived enemy, or despair at perceived powerlessness. Focusing finds ways forward which had seemed impossible. The Pause for Peace program is an exciting part of all of the work we do at the Institute. In this time of continuing transition, we are finding new ways to offer more resources to our teachers and more opportunities for learning and connection for Focusers new and old. We ask for your continued support to make Focusing findable to those at all levels of society, of all backgrounds, and in all situations. Thanks to you, those who truly need it most are becoming part of the worldwide Focusing community. As always, I am deeply grateful for all you do for the Focusing Institute, and for helping us bring the power of Focusing to everyone. We could not do it without you! May your new year be filled with comfort and joy. FISS 2016 takes place in Joshua Tree, California! At the Focusing Institute Summer School (FISS), you'll study each morning with an internationally respected Focusing teacher, and enjoy a variety of classes each afternoon. Join us at the beautiful Joshua Tree Retreat Center (designed by Frank Lloyd Wright) in the California desert where it is dry and warm during the day and cool at night. All rooms are air-conditioned and there is a swimming pool on premises. Beginners and experienced Focusers are welcome. Also, the Board of Directors of the United States Association for Body Psychotherapy would like to award him their "Lifetime Achievement Award" at their conference from July 21 to 23, 2016, in Providence RI. This is their highest honor, recognizing him, in their words, for "the truly outstanding contributions he has made to our field." Congratulations, Gene -- another award well deserved. The Focusing Institute offices close on Dec. 24 and will re-open on Monday, January 5, 2015. It is important to us to have as many of our communications as possible translated into as many languages as possible. If you are willing to translate written materials from English into your native language, please contact us at info@focusing.org and let us know your language, and how much time you can volunteer for this valuable task. It is also important to us to be able to offer interpretation (spoken) when we have events such as the Summer School (FISS) and the Advanced and Certification Weeklong. When we have four or more people needing interpretation, we pay for an interpreter. Please contact us if you would be willing to be an interpreter, or if you know of someone who you believe would do this well. We are a very international organization and it is extremely meaningful when we can be together. Frequently, however, members of our community cannot attend Focusing Institute events because in addition to the cost of the event, they have very high air fares. If you have air miles that you are willing to donate, please contact us. Your airmiles could be used to help members of the Board of Trustees and the International Leadership Council to attend their face-to-face meeting, or to help someone being certified to attend the Weeklong, or for any Focuser to attend FISS (the Focusing Institute Summer School). Please help give someone the chance for these meaningful connections! Introduction to Focusing Level One. A 2-Day Interactive Online Course on January 9 & January 10, 2016. Introduction to Focusing Level Two. A 2-Day Interactive Online Course on February 6 & February 7, 2016. Two Year Focusing On-line Interactive Certification Program for Mental Health Professionals/a> with International Guest Teachers. Starting March 2016. Focusing Basics: An 8-week interactive online course. A course for beginning Focusers starting January 13, 2016. Only two spots left! Early Bird Pricing ends tomorrow. Advanced Focusing Training — An 8-week intermediate interactive online course starting March 16, 2016. An interactive online pay-what-you-can class facilitated by David Rome on January 24, 2016. A live, interactive online course with Sally Tadmor. Two sections - starting Feb 1, or starting Feb 4, 2016. The 27th International Focusing Conference in 2016 will be held in England in the beautiful old university town of Cambridge. The dates are Wednesday 20th to Sunday 24th July 2016, with a coordinators meeting starting the day before on Tuesday, July 19. SAVE THE DATE: August 21-27, 2016 in Joshua Tree, California! Join us at the beautiful Joshua Tree Retreat Center (designed by Frank Lloyd Wright) in the California desert where it is dry and warm during the day and cool at night. All rooms are air-conditioned and there is a swimming pool on premises. 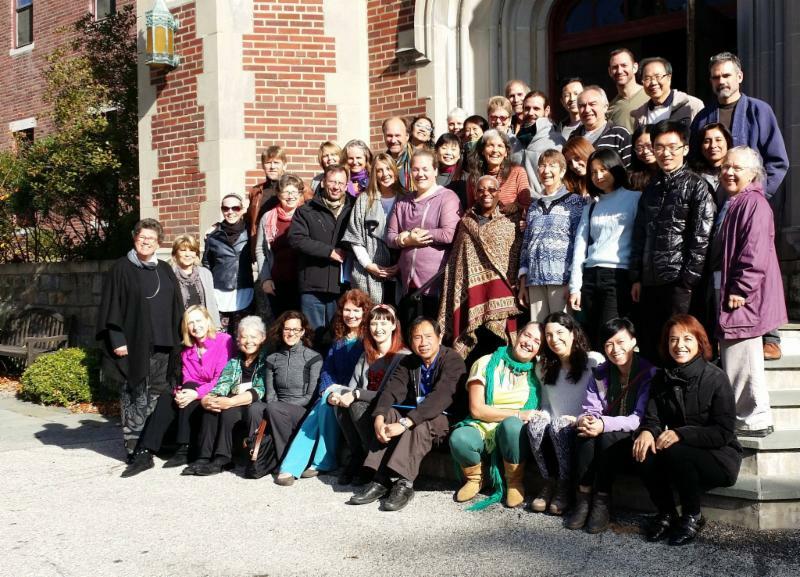 October 1-7, 2016 at Garrison Institute in Garrison, New York. June 22-25, 2017 at The Garrison Institute, Garrison NY. Tentative Coordinators Assembly prior. 12/2015 December 2015: The December conversation is with Peter Campbell. This is part of the "conversations" series hosted by Serge Prengel which you can access from the "Felt Community" menu	or from www.focusing.org/conversations. 10/2015 October 2015: The October conversation is with Rosa Zubizarreta. This is part of the "conversations" series hosted by Serge Prengel which you can access from the "Felt Community" menu	or from www.focusing.org/conversations. Rosa Zubizarreta and Serge Prengel offer a free workshop for Focusers on "Listening To Conflict. Visit the fresh, new Focusing Institute page on Facebook! TFI sponsors several email discussion lists devoted to Focusing. All are welcome! Click here to subscribe to our lists.